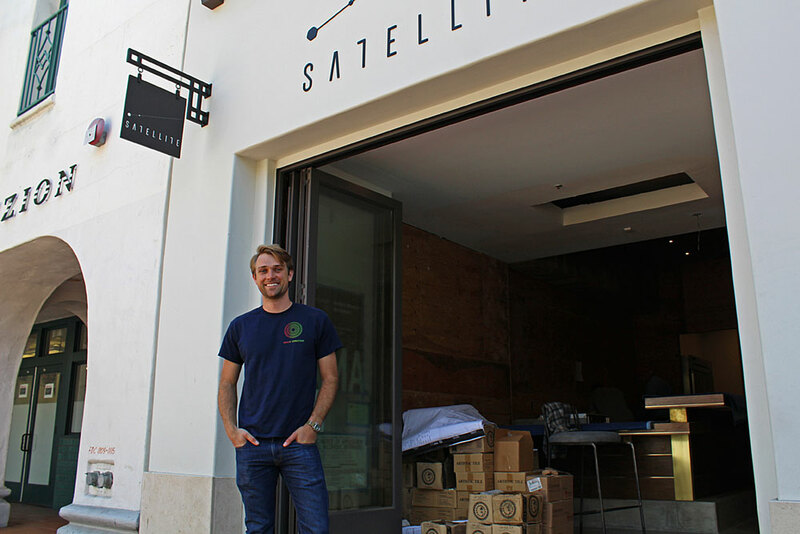 A year in the works, wine bar and café Satellite is preparing to take off at Impact Hub at 1117 State St. in Santa Barbara. “Satellite’s wine list is going to be quickly rotating through and showing people this whole world of smaller wineries that aren’t about big brands, that aren’t about big grape varietals even or big appellations,” Drew Cuddy, the wine aficionado behind the establishment, told Noozhawk. Satellite is not an Impact Hub-run bar, though it’s built into its member services and its users receive a discount. But the native of Ontario, Canada, is hoping the wide-open doors will also attract passersby and local businesses. In addition to a wine retailer, Satellite will offer sandwiches, soups, salads and snacks with menu help from Scarlett Begonia, and will be a caterer at both the State and Yanonali street locations of Impact Hub. The rustic, space-themed bar is slated to open the first or second week of June after final construction work is finished. After growing up on a turkey farm in Ontario, Cuddy moved at age 13 to California, where his dad took up wine imports. He spent summers in Europe with his father’s wine makers before taking up wine and hospitality education and work around California. In addition to bites and sips, Satellite will offer a wine club and courses through the London-based Wine & Spirit Education Trust.